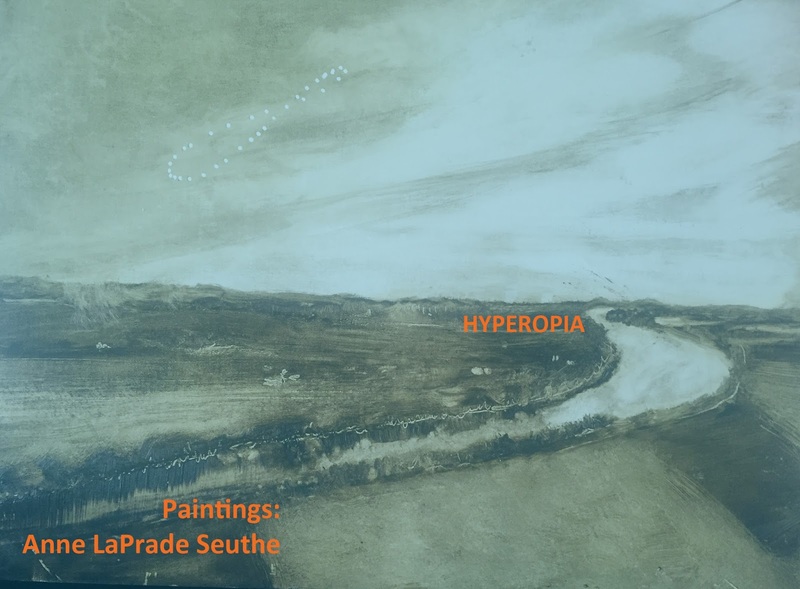 The paintings in Hyperopia are inspired by scenes of Western Massachusetts that include Mt. Sugarloaf, the Quabbin Reservoir, and the Connecticut River. The paintings play with the notion of time of day, distance, and other factors that impact our perception of the landscape. As Hyperopia suggests: Things seen up close may appear indecipherable, and may only be understood viewed from a distance. Anne LaPrade Seuthe holds an MFA from the University of Massachusetts. Her public and collaborative projects include X Marks the Spot, DUMBO Arts Festival, Brooklyn, NY, Intrude 366 at the Zendai MoMa in Shanghai, China, Physical Geography/Psychological Landscape at the Goethe Institute in Dresden, Germany and at the Distillery Gallery in Boston, MA,The 2008 London Biennale with TCE Boston, and The Coaster Project at the Fuller Museum. In 2016 she served as a mentor and panelist of the TransCulturalExchange International Opportunities in the Arts Conference in Boston, MA. She has been a resident artist in the East/West artist residency in Carei, Romania and her work has been included in recent group exhibitions to include Mapping Heaven, Front Room Gallery, NY,The American Dream at Takt Projekt Raum in Berlin, Germany and AmericAura in Cameroon, West Africa. She has had solo exhibitions at The Augusta Savage Gallery and at Herter Gallery at the University of Massachusetts Amherst as well as at the Main Art Gallery at Hampshire College. She has been awarded the Strathmore Paper Award for drawing, a study-abroad award from the Ministry of Culture, Germany, a New England Foundation for the Arts presenters award for travel to Eastern Europe, and an Award of Excellence from the Department of Art, Art History, and Architecture at the University of Massachusetts Amherst.